The following are to links of engineering materials specifications. Coefficients Linear Thermal Expansion Thermal expansion is the tendency of matter to change in volume in response to a change in temperature. Galvanic Compatibility ( Corrosion Control) Galvanic corrosion is the process by which the materials in contact with each other oxidizes or corrodes. Gear Material Steels for Industrial Gearing Gearing materials are typical steel used within industrial applications. Hardness Testing General Hardness test is a simple way to verify that a material has been properly heat-treated. 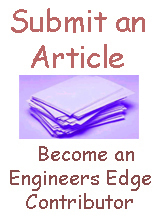 Material Terms and Definitions Definitions related to engineering materials and metals. Properties of Metals - Thermal >Metals in general have high electrical conductivity, high thermal conductivity, and high density. Vickers Hardness Testing Vickers Pyramid Number ( HV ) or Diamond Pyramid Hardness ( DPH ). Thermal Conductivity of Common Metals and Alloys >typical values of thermal several common commercial metals and alloys. Aluminum Casting Alloys typical mechanical characteristics for selected castings. AISI / SAE Steel Identification Number Chart AISI / SAE Steel Identification Number Chart. Inconel Alloys Table Inconel high-strength, corrosion-resistant nickel chromium material. Refractory metals are a group of materials that includes niobium , tantalum, molybdenum, tungsten, and rhenium. Copper Tube Size Chart Medical Gas, K and L Copper Tube: Medical Gas, K and L per. ASTM B 819. Spring Steel Review Spring steel is generally classified as a low alloy, medium carbon steel or high carbon steel with a very high yield strength. Poisson's Ratio Definition & Equation Poisson's ratio is defined as the negative of the ratio of the lateral strain to the axial strain for a uniaxial stress state. Poisson's Ratio Metals Materials Chart chart of Poisson's Ratio for common engineering materials and metals. SAE & AMS Specifications Titanium and Titanium Alloys Titanium alloys between SAE, Military, ASTM, ASME, BSI and DIN standards. Tool Steel Material, Properties and Specifications These tool steels, which include hot or cold finished bar, plate, sheet, strip, rod, wire, or forgings, are normally fabricated into tools, dies, or fixtures. Standard Aluminum Angle Equal Leg shape dimensions, weight per foot and cross section area for aluminum angle per ASTM AISC . AISC, ASTM Steel Angle Unequal Leg size and shape dimensions, weight per foot and cross section area for steel angle per AISC. AISC, ASTM Structural Tees Cut from W Flange Structural steel AISC A36 Structural Shape Tee Cut From W Shapes Table Chart. Round Structural Tube Per. ASTM 1085, HSS Hollow Structural Section Structural Tube ASTM 1085, HSS Hollow Structural Section Round Structural Tube table chart. Square Hollow structural sections (HSS) Table Chart per ASTM 1085 Table Chart ASTM 1085, table chart HSS Hollow Structural Section Square Structural Tube. Steel Section Properties Chart Narrow I-Beam BS 4-1 | EN 1993-1-1 Steel Section Properties and Dimensions Narrow I-Beam Chart | BS 4-1 | EN 1993-1-1. Structural Steel Angle Section Properties, Equal Leg BSI BS EN 10056 Tolerances for equal and unequal leg angles are given in EN 10056-2. Structural Steel I-Beam Universal Flange Section Properties BS4: Part 1: 1993 BS4: Part 1 | European Standard Wide Flange H Beam. Thermal Electrical Properties Table Chart Iron per BS2789 thermal and electrical properties of ductile iron grades covered UK specification BS2789. Graphite Electrodes Graphite electrodes are used primarily in electric arc furnace steel manufacturing. Gouging Rods Gouging rods are used for cutting, welding, removing metal defects, inspection of welds and removing excessive welds. Specialty Graphite Review Specialty or custom graphite materials and shapes are available within industry. Bolted Joints in Composites Structures Design Guide - This design guide was prepared under Contract, titled "Bolted Joints in Composite Structures: Design, Analysis and Verification," and administered by the Air Force Wright Aeronautical Laboratories. Laminated Glass Cloth Engineering Properties Wet Laminate Glass Cloth engineering properties in imperial units. Wet Laminate Carbon Cloth engineering properties Wet Laminate Carbon Cloth engineering properties in both SI and imperial units. Wet Laminate Carbon Tape Engineering Properties Wet Laminate Carbon Tape engineering properties in both SI and imperial units. Graphite Blocks, Rounds Review Graphite blocks are available in various sizes and grades. Graphite Cathode Blocks Review Graphite Cathode blocks are produced by and processed by vibrating-molding machine or extrusion die machine. Alloy Steel Heat Treating Hardenable Grades of Alloy Steel and the perspective normalizing temperature, annealing temperature and quenching medium table chart. Chromium Nickel Steels Not Hardenable by Heat Treating table chart lists chromium nickel steel that is not hardenable by heat treating. Heat Treating Steel Time vs Temperature and Case Harden Thickness Heat Treating Time at known Temperature and the resulting Case Harden Depth. Heat Treating Aluminum Alloys aluminum-copper binary phase diagram. Heat Treatment - Annealing plain carbon steels, annealing produces a ferrite-pearlite microstructure. Heat Treatment Review heat treatment of steel consists of raising the material some specified temperature. Heat Treating Stainless Steels Stainless steels are heat-treated based on the stainless steel type and the target end item requirements. Induction Hardening Review Induction hardening is widely used process for the surface hardening of steel. Normalizing Annealing Tool Steels Normalizing and Annealing Temperatures of Tool Steels Table Chart.